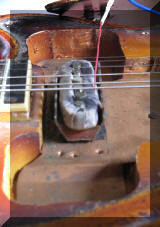 See also "The Hagstrom Hub" - How they interacted with others! See also "Copies Copies Copies" - Some of the wrangles buyouts, takeovers and copies! We've touched on the connections between various companies and brands, such as Bjarton helping and indeed making acoustics for Hagstrom, but there is a wide scope of associations throughout the history. 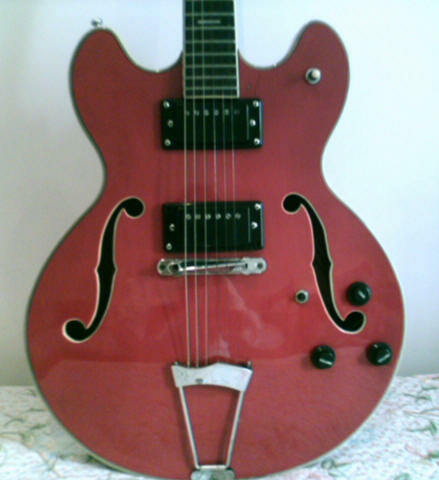 Like in the UK Hagstrom often being branded Futurama, a name more associated with Hofner of Germany, and originally Blatn in Czechoslovakia by the Resonet Company. In the USA some early Hagstroms were branded Kent. These associations were sometimes just that - Take the AMPEG Patch 2000 synthesiser mainly associated with the Swede Bass for Hagstrom. Although the label on the back of the neck looks a bit like the material used for the "Kings Neck" label, but it doesn't say "Kings Neck". Well, we know why, it is one of the Japanese models mentioned on the History page. Looks quite a nice spec for the model, but these were widely available in Canada and the USA at one time. Thanks to Rob (Canada) and Jon C (Canada) for additional info, and thanks to J.B. from Seattle for the pics. Hi there… Beautiful page by the way. 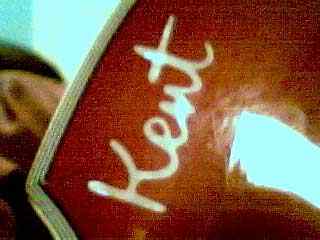 I don’t know anything about that particular Kent, in fact I really don’t know much about Kents at all. 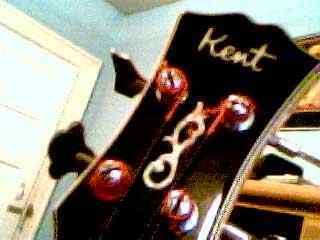 BUT I do have some pictures of another, similar Kent bass that you might be interested in. 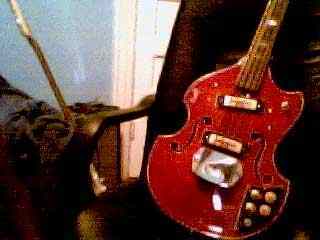 I picked this bass up at a store called capsule music on Queen Street in Toronto. They carry a lot of vintage instruments and this was one of many. I asked the owner if he knew anything about it but all he could say that it was probably built in Japan in the early to mid 70s. 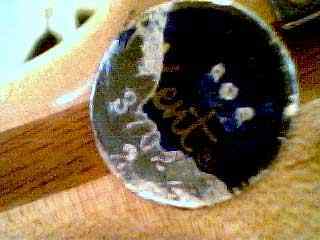 The quality of these pictures are a bit lacking because they were taking with a little web cam but if you like, I might be able to get better quality shots. I may expand on the contents of these catalogues in the future. To be continued... I may have to use a sister site for the expanded versions due to website limitations. 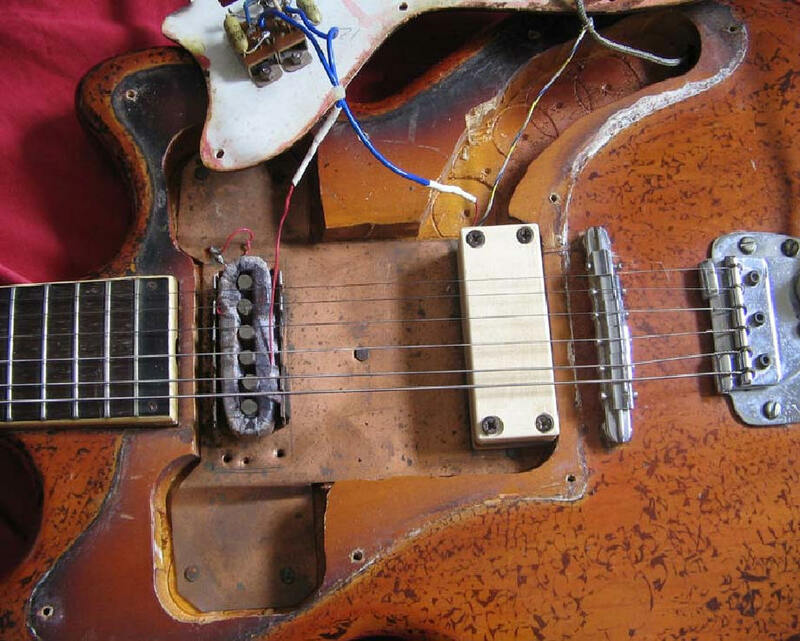 Fender - (And there was no Legal case against Hagstrom). 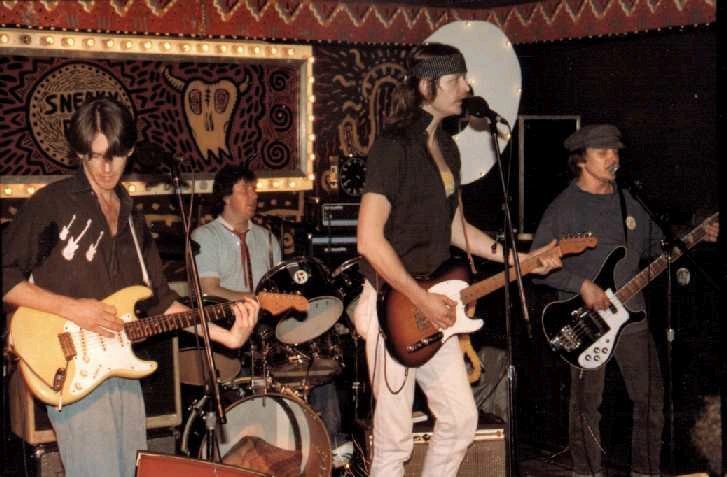 In fact Hagstrom had the exclusive distribution rights for Fender throughout Scandinavia) The famous Stratocaster and Telecaster was oft copied, but Hagstrom I, II and III could hardly be called a copy nor could the later Scandi... even if Fender asked Hagstrom not to bring it to the USA. They were just developments from a starting point eh? 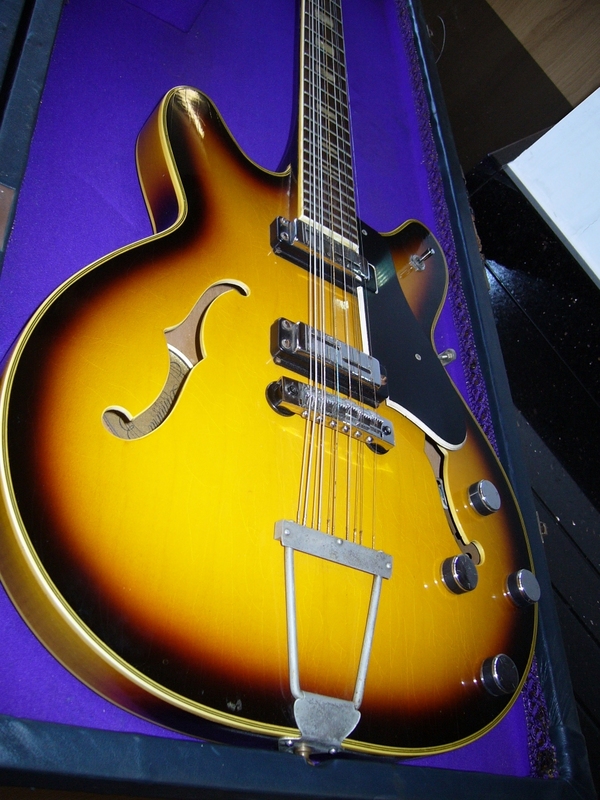 Look at a Hagstrom Tremor unit - such style! 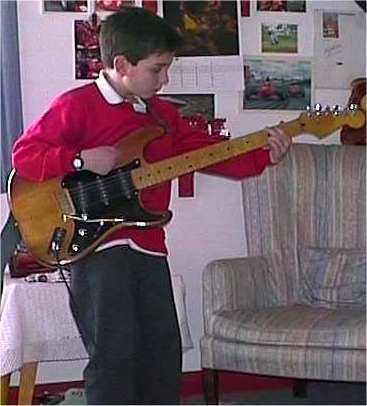 Beyond distribution rights, the closest connection with Fender may have been that James D'Aquisto having spent some time with Hagstrom went on to work with Fender - for big bucks I expect, as well as continuing the custom own brand developed out of his time with his mentor John D'Angelico. 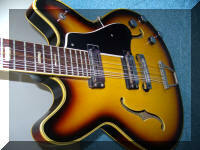 And talking of copies.... what was the Fender Coronado if not an Gibson copy? 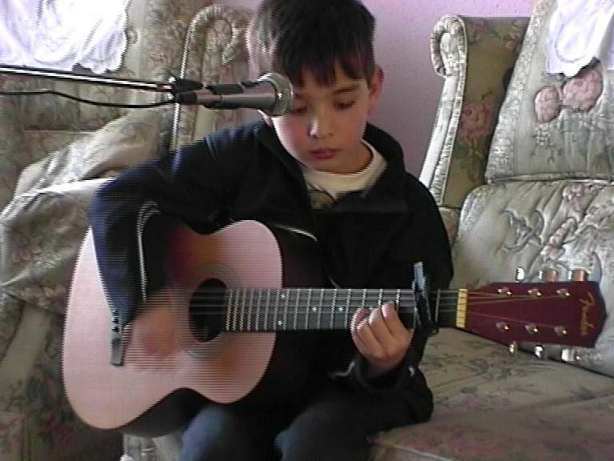 CDC with his Fender Acoustic, and an old Strat from Canada. No it's not a young George Harrison on the left. 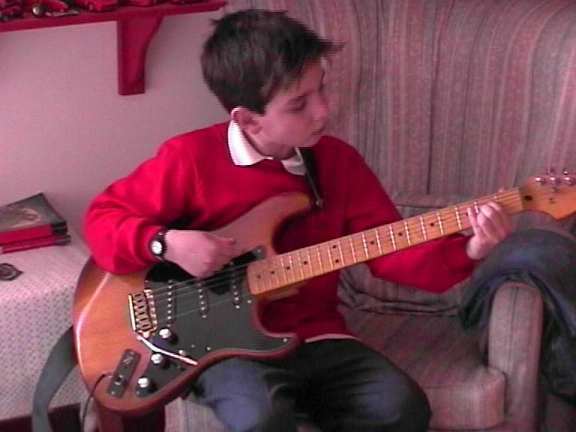 Here's another Fender fan... can you guess who this is? He's one of the foremost fact finders in the Hagstrom website ring. A good source of Other Brand info - you MUST know who he is. The answer is a real 'steal'. Pic taken at "Sneeky Dees - Bloor St - Toronto"
Sure looks good from a distance eh, a bit heavy though he says, it's not till you get close, and until you find out how heavy it is! - No luck so far, so when he stumbled across the Starfire (previously a DeArmond Model) now its part of the Fender Squier range, so he had to get himself a stop gap... plus a couple of mod's... So, who's gonna get him a good cherry Viking he says! 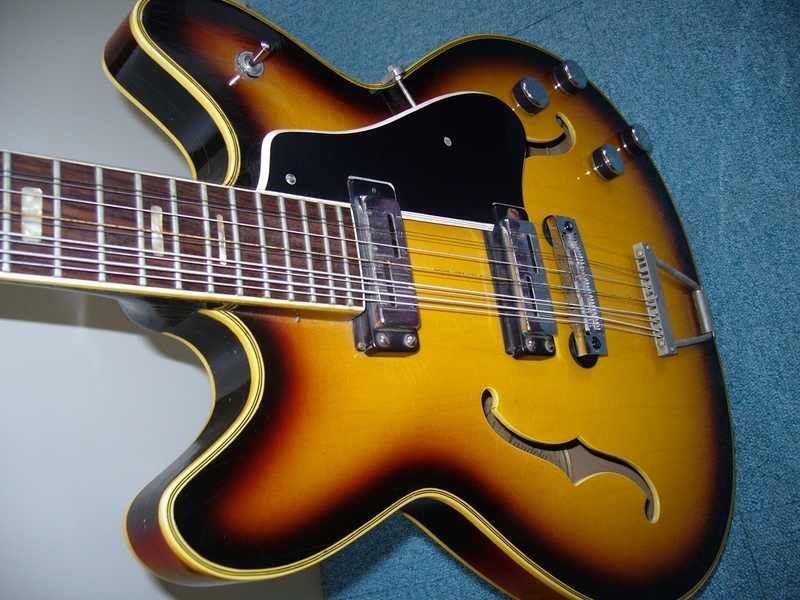 The Hagstrom Cromwell - 1963/4... and that was all about tailpieces too! 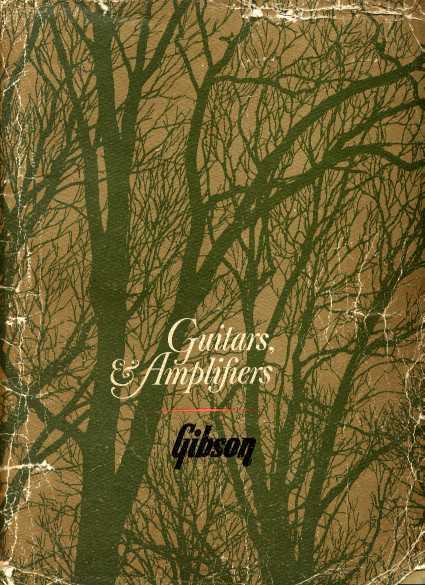 There was also a link as Hagstrom sold their amps in USA for a while under the Guild brand name! 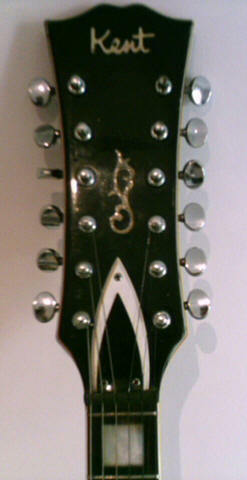 España was another Scandinavian built range that appeared in USA and Canada via the brand owners Buegeleisen & Jacobson around the same time as Hagstrom, but beyond the holding / marketing company (still listed in USA); I have little information on the origins or the history beyond the stated one time connection to Finland and Sweden. Often listed as a Hagstrom derived guitar, it might have been connected in the distribution channels Hagstrom operated in many European countries; in manufacturing terms it could have been via Bjarton or (denoted by the Crown logo) Landola from Finland... but as all the Bjarton information has been lost, we will have difficulty finding out for sure. Landola are still around, but are very shy about confirming any questions... maybe there's no-one there that remembers now! Pictures Courtesy of Ellen Kelly CT, USA. Dare I say I'm impressed that they got the 12 string neck joint right where Hagstrom themselves made theirs too week. 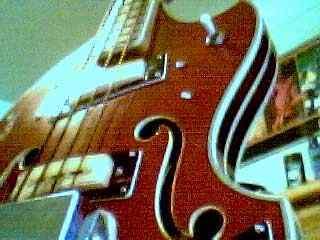 Ony 651 of the Hagstrom Viking 12, how many Landolas I wonder? Most of all, how many of either still exist? I can't believe this fetched only £180! 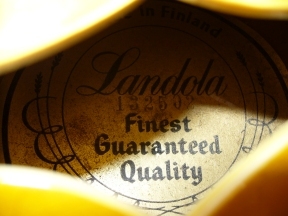 We know Espana instruments were made by a number of manufacturers, and we've established that Landola was the Finnish company involved. Well here's a bit more proof. Notice the label design, just as is seen in the Bjarton made examples, but this time CLEARLY Landola. 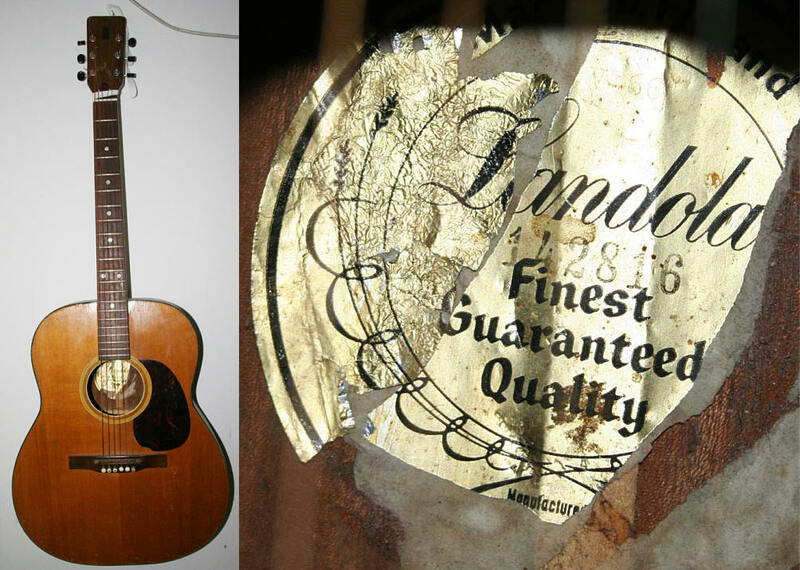 "I own an old Landola guitar. They were made in Finland and the factory was located in Jakobstad in the west coast of Finland. Now, when i look at the Espana guitar catalogue at your catalogues page and the pictures that Daniel Hekker has sent,the guitar label looks familiar, it has the same figure/ornament and Text type as the Espana guitars has! I took a photo of my Landola so yo can compare. 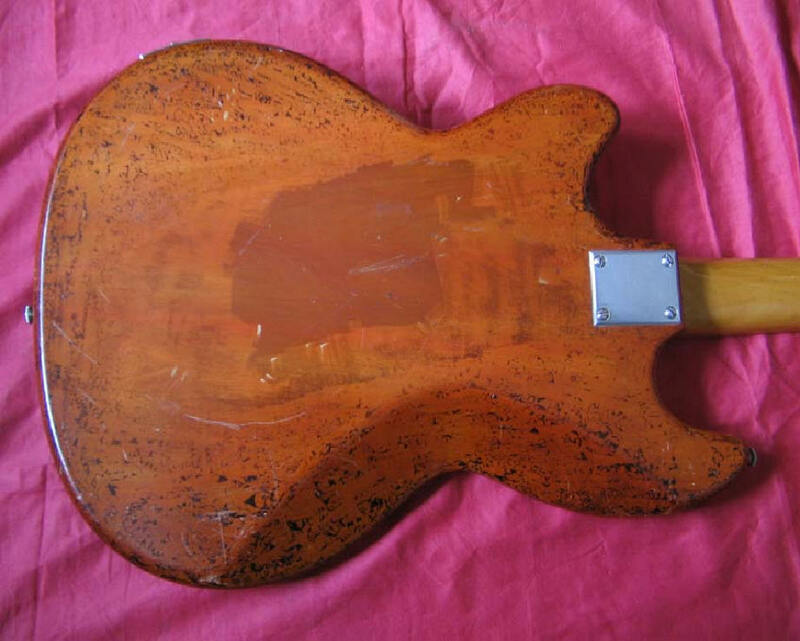 Im not an expert in guitars history, but I think maybe Espana guitars were made by the Landola factory in Finland. 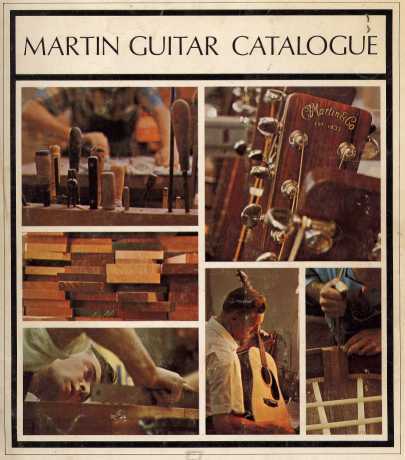 In the Espana-catalogue the say that the guitars are Scandinavia's Finest. Because Finland belongs also to the Scandinavian countries, it is possible that in the advertising they didn't mention Sweden because they were made in finland by Landola. 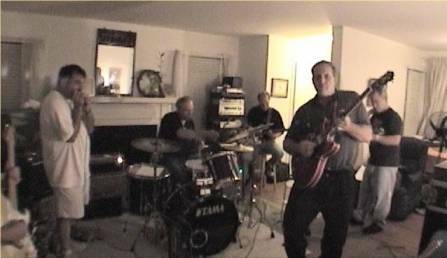 I also own a Hagström Swede guitar but that is an another story, maybe i tell about it later." Many thanks to Derrick Frilund for the original photos and info. 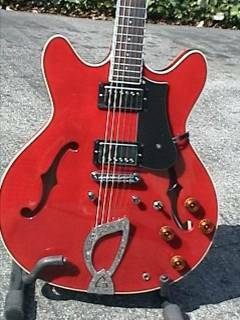 We know Hagstrom sold guitars long before they made guitars, and way before Bjarton were the main supplier, but where did this originate? 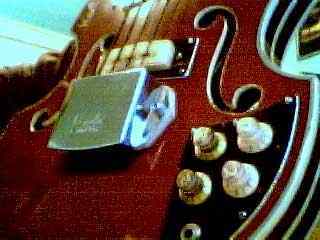 It has a Hagstrom Sticker label inside saying Hagstrom Oslo (yes again)... It's acoustic, with an added HOFNER pickup unit. 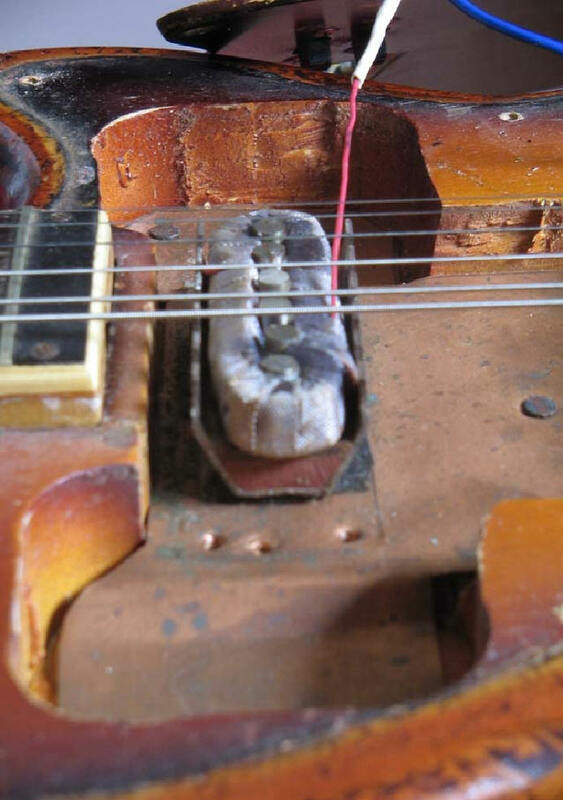 Maybe the PU assembly was added at a Hagstrom Music store?? 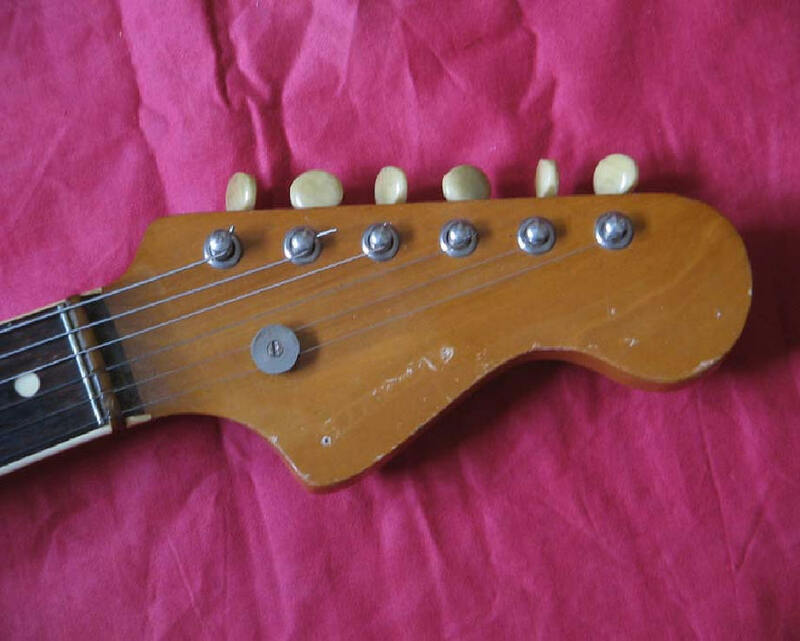 Also take a look at the shape of the headstock - very Hagstrom 1959 eh? < Click for a closer look at the body and added PU. 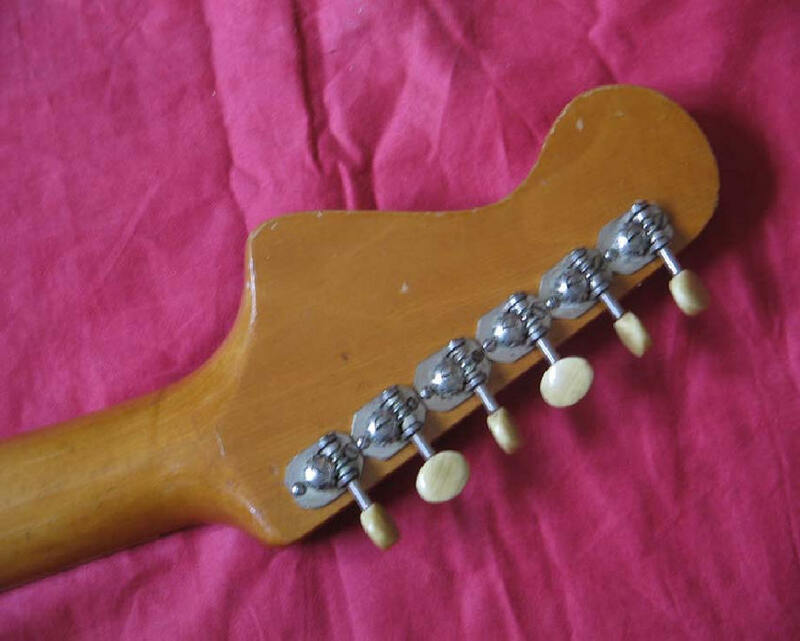 Here's a single version of the PU assembly available in the 1960 Selmer UK Catalogue, so does that give a clue to the date of the guitar? It's all I've got to go one so far! Another part of the story that's fading into myth and legend - I hope to bring you more facts in the future, meantime keep chipping in your ideas, thoughts and pictures! 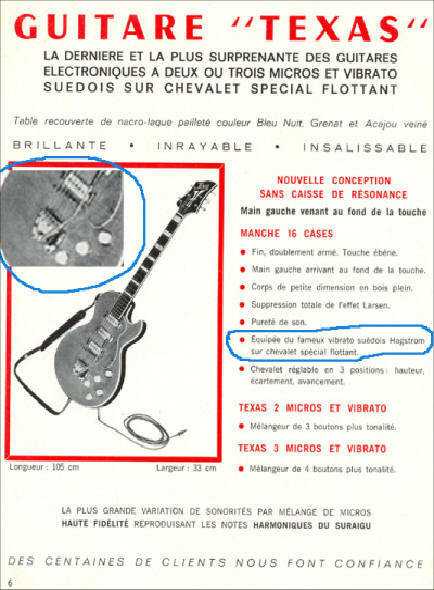 A French guitar manufacturer called Jacobacci ( http://lesguitaresjacobacci.free.fr/page00.htm ) fitted the Hagstrom vibrato / tremolo unit to some of its models and two models were in the Major-Conn* catalogue (I think Jacobacci's distributor) from 1963. 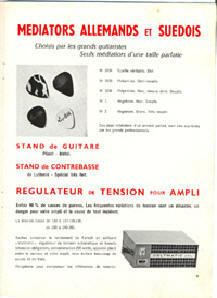 << http://lesguitaresjacobacci.free.fr/Catalogues/page26.htm Go and see! 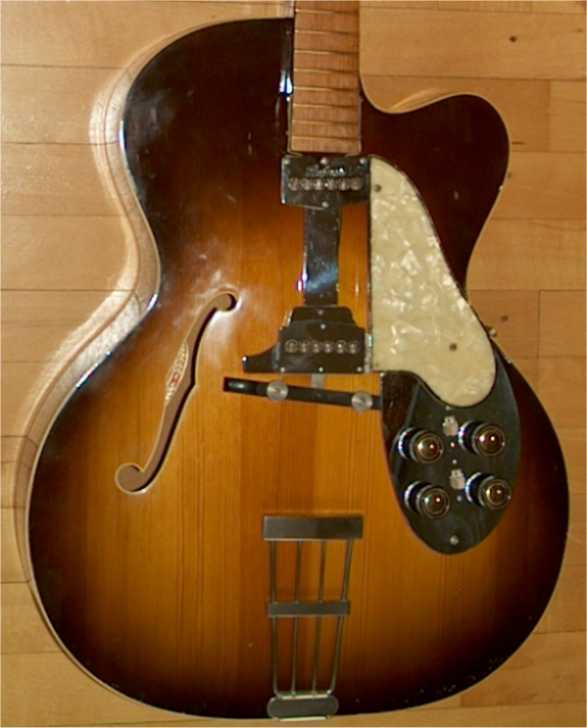 Jacobacci also seemed to produce models similar in shape and name to Levin's 48-58 top-of-the-line archtops that appear in the 52 Hag catalogue - but they didn't do so till after 1958. It does suggest quite a strong Franco-Swedish link. Thanks to Paul Holland for these great pieces of info! d'ya know... at $20 I almost did! 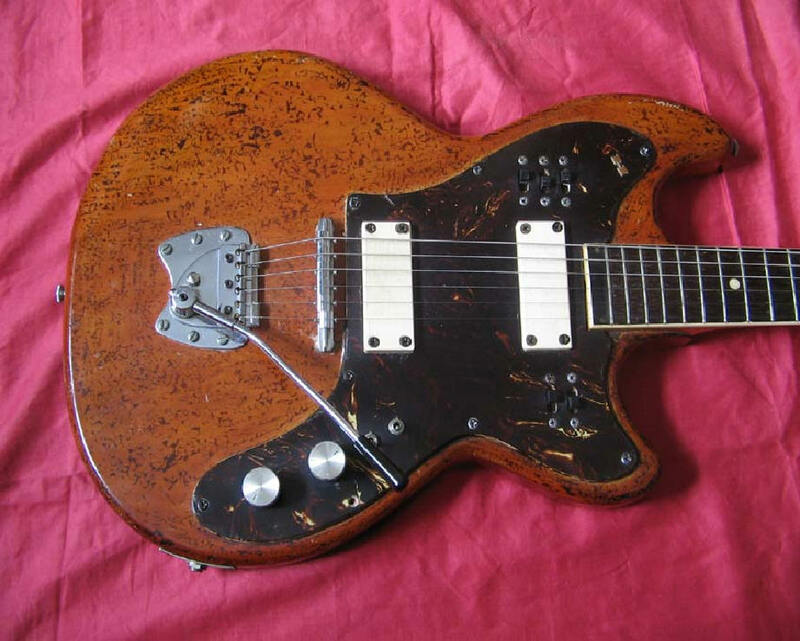 "Here is something, that looks like a Polish copy of Hagstrom. It's a 4-string bass guitar, called Lotos (it's some kind of flower in polish ;)"
Instead of the "Swimming Pool" we see the "Gas Heater Element" (maybe a similar luxury in Poland at the time). Even the "rest" block is there in as inappropriate place as it is on some hags... So clearly there is no discretion in this emulation! I'm no bass expert, but which finger rested there anyway? I know it's kinda priceless... Out of production, out of stock in all the shops all over the world... Just wanted to share it with you - maybe it becomes useful on your page..."